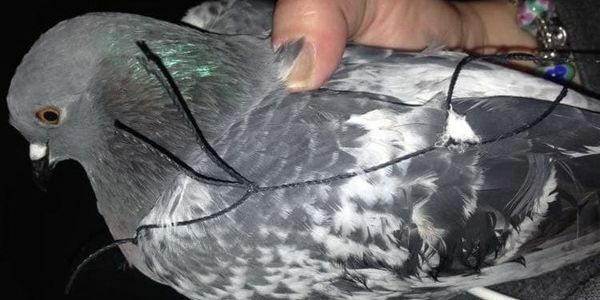 petition: Prosecute organisations whose netting traps birds! Prosecute organisations whose netting traps birds! • Thousands upon thousands of pigeons, along with other birds such as doves, gulls, crows, jackdaws and starlings, are getting trapped in and behind netting installed under bridges and on buildings where so many die slowly of starvation, dehydration or strangulation. Where this occurs, the netting has either not been installed correctly, is not being maintained properly or is simply not appropriate for that particular structure. In many circumstances other more humane bird control products could be used. • In the UK all wild animals under the control of man, such as when trapped in netting, are covered by the 2006 Animal Welfare Act which states that is an offence to cause unnecessary suffering to any animal. Anyone who is cruel to an animal may be fined up to £20,000 and/or sent to prison. • Sign now to ask the police and local authorities to prosecute offenders to prevent countless more birds dying in such a cruel and unnecessary way.